As promised, here’s a look at one of the other Jarrah sweaters I made for the sewalong. 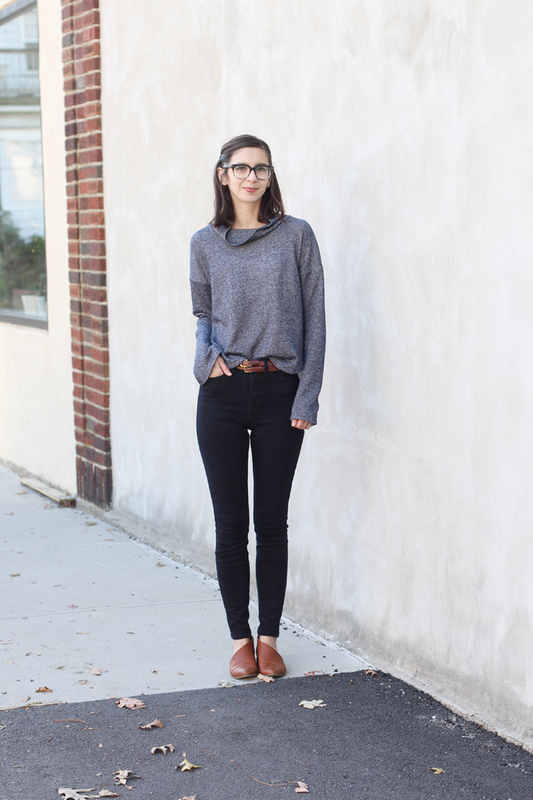 This one is a mashup of views B (curved hem) and view D (funnel neck). I really love the split sleeve on these views. It’s meant to cover half your hand is so cozy!